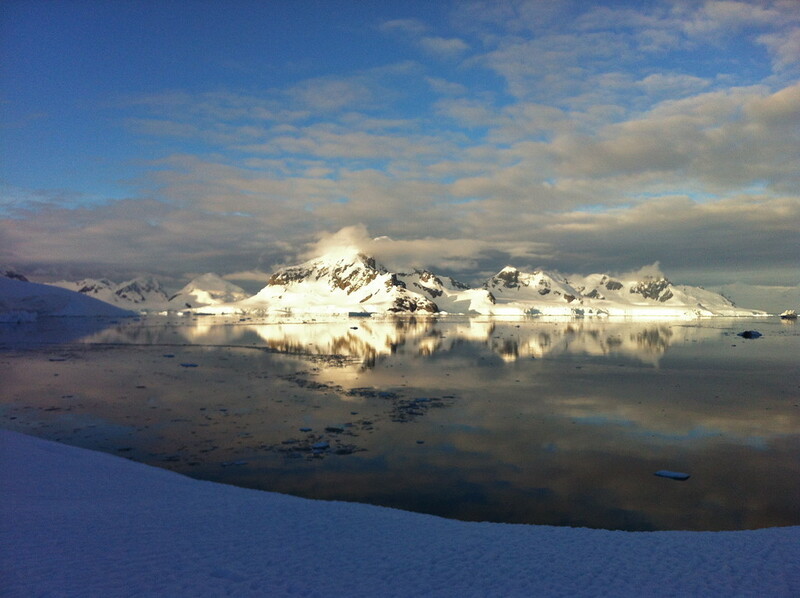 Things to do in Antarctica! I thought, as I shovelled another load of snow out of our slowly forming hole in the ice. It was 8pm but as light as midday. We were cold, and we were about to camp on Antarctica! It all came about a few months earlier, when we were given the option of spending a night on the frozen continent with Quark Expeditions, joining a small band of people who could lay claim to it. So after a false start the night before when gales made it too dangerous, we were good to go for our camping experience. After an early dinner on the boat, we raced upstairs to layer up for what would prove to be a very cold night! On went the thermal under layer, along with thick socks. Then the second long sleeve top and ski trousers. Then the jumper, fleece and waterproof jackets. Throw on a pair of boots, and a wooly hat and we were good to for our night on the continent! Zooming along the water in our zodiac, sleeping bags in hand, we were excited and a little apprehensive about the evening. Our briefing prior to leaving was simple, wrap up warm and don’t forget anything. Oh, and being too cold was not a good enough reason to be taken back to the ship. Once we were on the continent, barring an emergency, we would be there for the night. The night itself was cold, but not as cold as our Antarctic polar plunge! 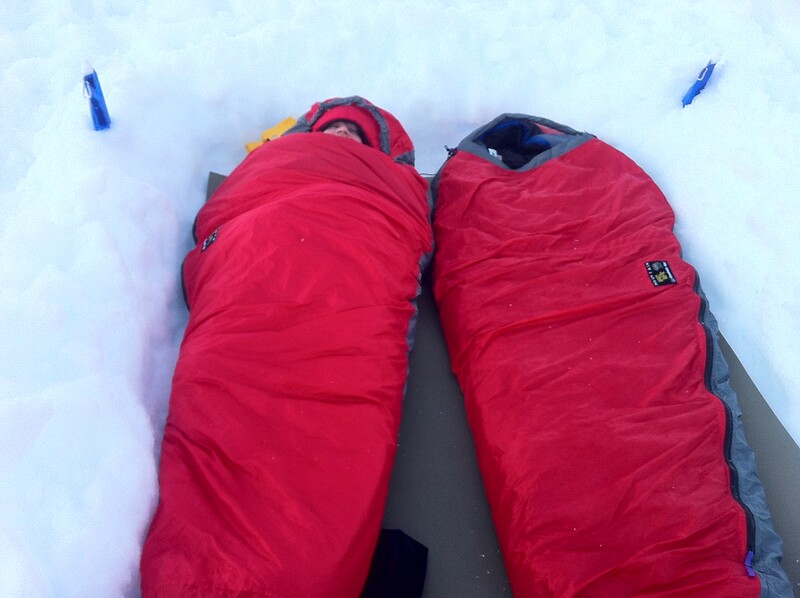 After landing on Antarctica, we found a piece of snow and ice to call our own and began ‘making our beds’. Out came the shovel and we dug a hole in the ground just big enough for us to squeeze in and protect us a little from the wind. After 15 minutes we had our magnificent bed, water bottle holders and a small (dare I say classy) wall surrounded us. All that was left was to lay our sleeping bags inside our bivi bags and we were ready for sweet icy dreams. You’re probably thinking, what about the tent? Well, in our infinite wisdom and excitement, we opted to go ‘au naturale’ on the continent and sleep under the stars, or as it turned out, the sun. No tent, just us in a sleeping bag inside a bivi bag. Here’s some footage of us making our bed for the evening! Getting into bed was a bit of a mission. First up, the boots needed to come off before we quickly slipped into our bags. After a delicate balancing act of feet in the air much like a turtle stuck upside down on its shell, we wriggled into our bags, pulled the draw strings up and hunkered down for a night we’d never forget. For a while we both lay awake, but after a while we must have dropped off to sleep until we were rudely awakened by large lumps of snow and ice hitting the outside of our bags. 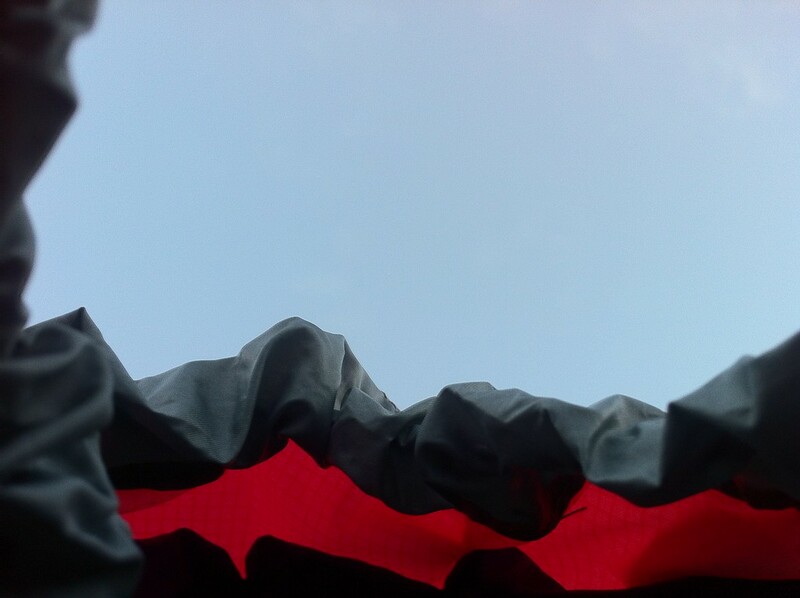 Confused, and bleary eyed, we opened the top of our bags ever so slightly and peered out into broad sunshine. It was 2am, and our friends sleeping a few feet away from us had woken us up with snowballs as there was something in the water a few metres directly in front of us. Excited, we both wriggled into a semi sitting up position, and then we heard it. ‘Peugh’! The unmistakeable sound of a whale coming up for air, we scanned the water and there, in front of us, a humpback whale arched its back and dipped into the perfectly still water. Magical! A couple of minutes later, it was back, the water spouting from its blowhole as it meandered around in front of us. It was incredible to watch, and we sat there for 15 minutes until we began to get cold and dipped back into our sleeping bags to warm back up. This was one of our favourite moments, even with the amount of minke whales that had been following our zodiacs the previous days! The rest of the night passed without incident, and at 6am we packed up our bags and took our zodiacs back to the ship to warm up and grab some breakfast before our excursions for the day. It had been a magical experience on the continent, the weather had held out for us, we slept out under the sky and even had a whale to keep us company for the night. For non campers we were very proud of ourselves! Haha thanks Trevar, we definitely enjoyed it, even if it was a little crazy without a tent! Haha sorry Maddie! It was really worth doing the camping as well, even if we didn’t get much sleep! Made us appreciate our room on the ship even more afterwards! This is pretty amazing. Safe to say you wont be forgetting this experience anytime soon. While I was reading this post, I kept saying “wow,” “really?” “oh, my god!” You guys have done some incredible stuff in Antarctica! I now dream of doing the expedition. But, was it really warm enough for you to fall asleep when camping? I’m afraid because I am not really good with cold weather. Is there any other options for where to sleep rather than camping on the ground? Hi Sunny! It wasn’t too cold no, although we were well prepared with thermal underlayers, trousers, fleeces, jackets, hats and coats! There was an option to use a tent which I assume would have helped, but it was really a lot of fun and not unbearably cold! Cool! Oh by chance, do you know when would be the best season to take this expedition? The season runs from November to March I think, check out Quark Expeditions (http://www.quarkexpeditions.com/) – we went with them to Antarctica and they show the dates that they run trips! Oh wow! Now *that’s* a unique story, and you get extra cool (literally) points for having a whale alarm clock. Did you see the stars? The sky must look so amazing out there on a clear night.